Which Is The Best Sound Bar ? 1 Which Is The Best Sound Bar ? As mentioned on the home page, with televisions becoming thinner and thinner we find ourselves losing the sound quality. There is only so much space left inside the TV, most of the resources would be dedicated to the picture quality. Lets face it most of us would buy the TV initially on the picture quality, and the sound quality would come second. To appreciate and to experience a movie or a sports event, having high quality picture at 1080p is certainly a very important factor. Without good picture, you simply cannot fully appreciate the action sequences in a blockbuster movie or be part of that truly amazing goal. The same goes for sound, while many of us have settled for the sub-acceptable sound quality that TV speakers have given us, however, those of us who do truly appreciate good cinema or just good TV viewing experience have invested in a sound bar. A sound bar doesn’t need to be super expensive, once you have one you will wonder how you ever lived without it. They are great in the sense that, they will not only enhance the sound of your TV, but can also function as a Bluetooth, wireless speaker for your phone, tablet or any other wireless device. If you have a projector, then having a sound bar is crucial as (in most cases) it will be the only source of sound you will get. So back to the original question, what is the best sound bar? A very clever and powerful sound bar from Yamaha, The YSP-2500 is a premium sound system. It is almost a cross over from the sound bar category to the sound system category. While delivering a good amount of power, The YSP-2500 also has some clever features like the microphone and sound calibration, so it actually measures the sound around your room in order to deliver the highest audio quality possible. With HDMI connectivity, IR repeater, smart phone app and a very powerful subwoofer, The YSP-2500 is one of the best sound bars available. USB connectivity to instantly play your audio files for lossless audio. Connecting your laptop or audio device, you will be able to play a variety of files, MP3, WMA and AAC with 192kHz sound. 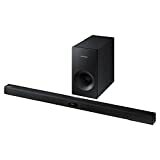 A very good sound bar from Sony, The HT-NT3 has 400 watts of power, with Bluetooth connectivity, a wireless sub woofer, with the Dolby TrueHD sound and the USB connectivity and the mid-range price point – you cannot go wrong with this purchase. A very good second best to The YSP-2500 at a more affordable price point. 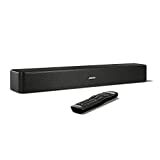 A very good sound bar for a lower price point, The HTCT770 delivers some great features like wireless sub woofer, Bluetooth connectivity, HDMI inputs and Bluetooth connectivity you will definitely get your money’s worth.